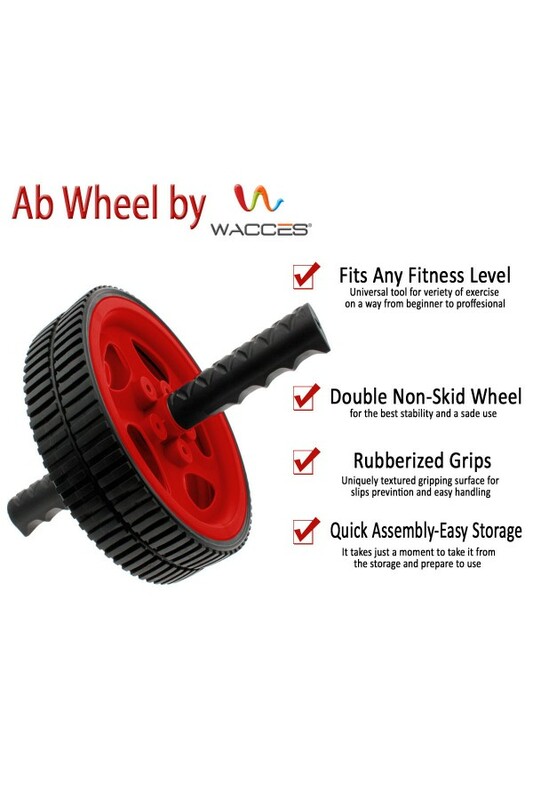 Get the abdominal definition you've always dreamed of with our Abdominal Wheel! 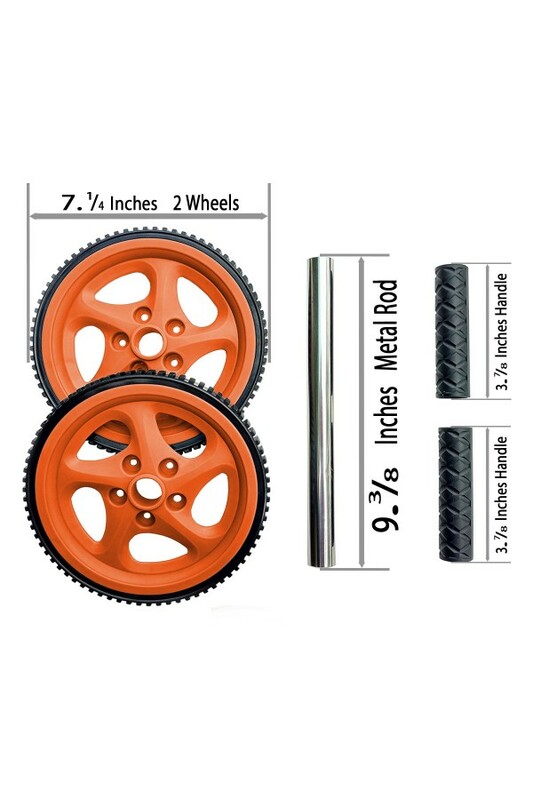 It features two non-skid wheels joined to a solid metal bar for safety and stability. 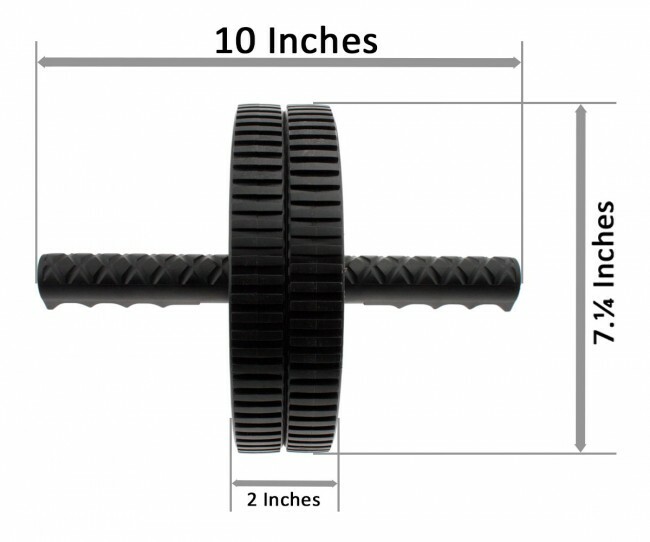 Many other wheel exercisers require users to balance on handles extending from just one wheel. 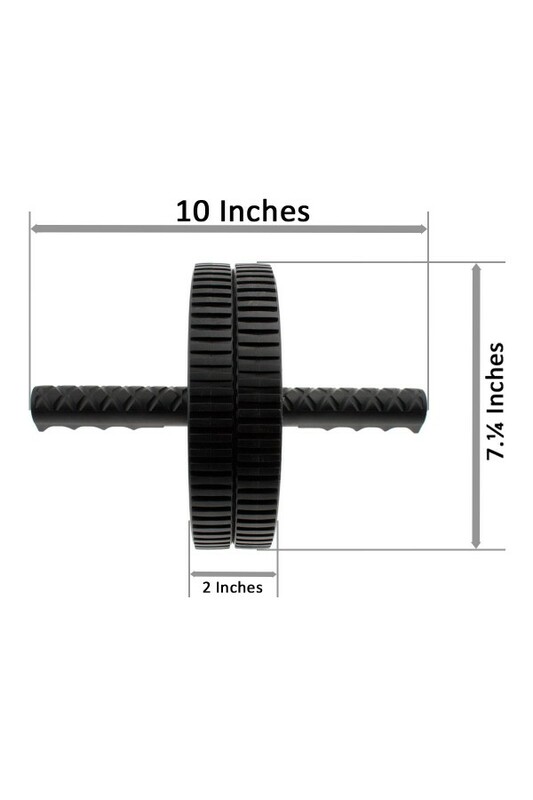 Our ab wheel handles are covered with textured rubber grips for easier and more comfortable use. 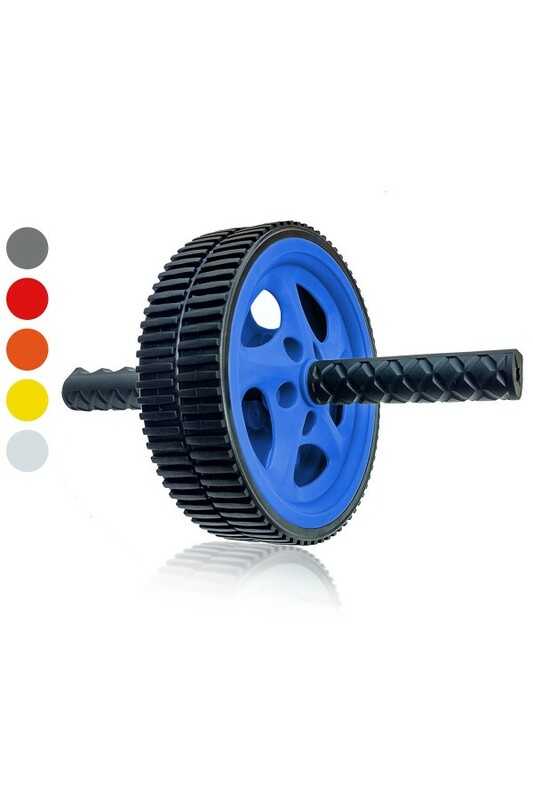 The ab wheel tones every upper body muscle group, including shoulders, arms, back and abs. 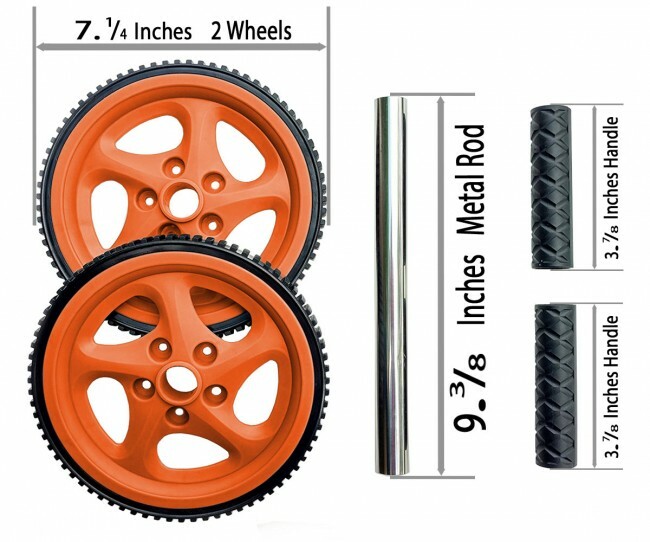 Wheels are solid material, which increases durability and stability. 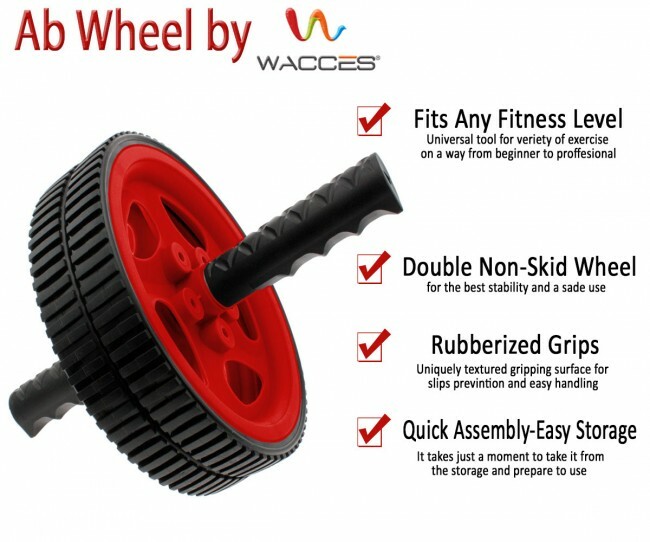 The dual ab wheel assembles quickly and easily. 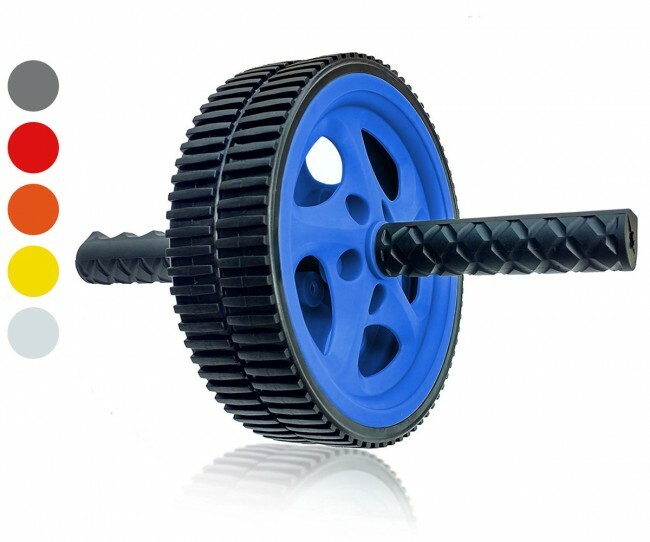 The dual wheel ab roller requires minimal training to use. Start on hands and knees, grasp the handles, and roll the wheels forward and back across the floor. Keep your back and head in a straight line during the rolling movements. Roll the ab wheel trainer straight out away from your knees. Support your weight on the handles and your knees while maintaining a straight back. As you work up to rolling out further from the body, you will increase the work done by your core abdominal muscles. When you reach your maximum rollout distance, reverse the movement and roll back up to the starting position. You WILL feel the burn in your abs while doing this exercise. 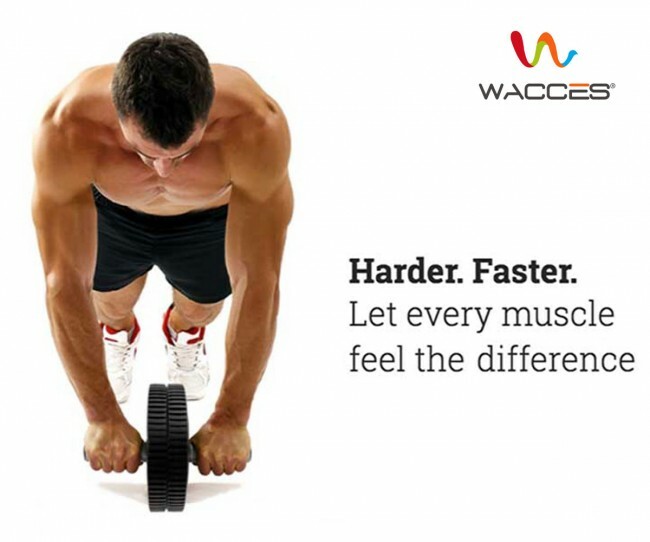 Start with one or two sets of five to ten reps each, and work up to more as your strength improves. Keep your back straight when using the wheel to avoid potential back injury. Do not roll out further than your strength allows â gradually work up to a full roll-out and higher reps. Do not be discouraged if you can only complete a few reps at first. The dual wheel ab exercises are difficult at first.